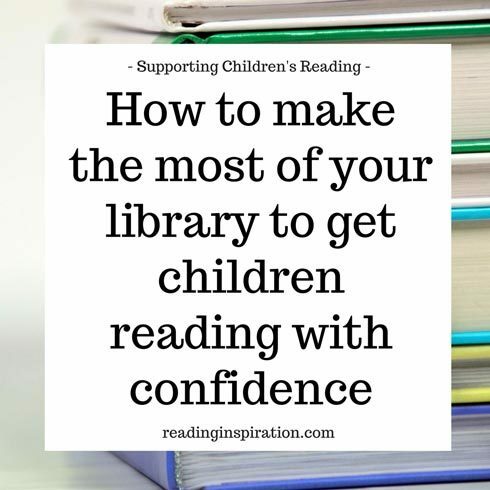 This is the second in a series of posts providing tips and support to get children reading with confidence. Part one looked at ways to reduce pressure associated with reading, have a relaxed approach and make sure lots of books are available. Here in part two of the series, I expand on accessing plenty of books by making the most of your local library. I share ideas for what to do if your child insists they have no interest in books. And I consider the benefits of allowing children to explore the library and make their own reading choices. Sometimes children insist that books don’t interest them. This can be disheartening. First of all, don’t worry, many children will say this at some point! When this happens have a think about what their other interests are. What topics or activities get them excited? Look out for books that are connected to these interests. In the example given here a parent suggested a series of novels about baseball to their child. Sometimes it is just a case of noticing a book or a series of books which connect to your child’s greatest interests. This could cement your child’s love of reading. Factual books can help provide information about a topic a child loves. But a fiction related to the topic could be even more effective. For example a child who is “not into reading” but loves football, may find they will love a novel like Kick by Mitch Johnson. For my son, a series of books about the world of Star Wars helped encourage him to read more. They are illustrated books with small amounts of text. For a reluctant reader, this style of book can be a good starting point. With a high ratio of pictures to text, books like this can form a bridge to books with progressively more text. You can find lots of material like this in the library. Children can try out various books to find the topic or style that suits them and that will inspire their love of reading. For more ideas to help you find books for reluctant readers see my guide here. 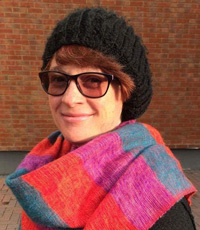 Regularly visiting the library creates a sense of routine of always looking for new books. I think I was lucky as a child because my parents read a lot. My mother would always be reading at least one novel from the library. Going to the library weekly was part of our routine. My mother now finds audio books useful and has kept up her reading habit and love of books. Her local library has a great audio books service. Other than printed books, libraries provide many valuable services like these and have great resources for people of all ages. Our local library has a large section of children’s books, from picture books for the very young to chapter books for older children and young adults. They have story-time sessions for babies and toddlers. And for older children they have reading programmes and clubs to support reading in a fun and relaxed atmosphere. Libraries also have magazines and newspapers. So if your child is currently less interested in books and more into these, it’s a good place to browse publications without having to buy them. Which brings me on the next tip, involving letting your child choose exactly what they want to read. Even when it’s not what you would prefer them to be reading! Once you are in the library you might be tempted to steer your child to books which you think are the most suitable and the right level. I know I have done this many times! Try to take a step back and allow your child to explore the books. Let them make their own choices as soon as they are old enough to pick up books and select them. The great thing about allowing children to choose what they want to read is that quite simply they will want to read it. Even if we as parents think the reading materials chosen are not the most important to read, there will be benefits. When a child has chosen the material they are going to be more interested in it. If they enjoy reading it they will want to move on to read other stuff too. I might want my child to read a children’s adaption of a classic but he might prefer to read a Pokémon handbook. Enjoying reading the handbook will further encourage a love of all kinds of books. I can still keep gently waving my suggestions under his nose. Maybe he will pick them up some time too. But if I carry on letting him read what he is enjoying that becomes more likely. There are other educational benefits to the process of allowing children to select their own books too. Children’s author, Michael Rosen, argues that letting children “browse” the shelves, to scan and select their reading, allows them to learn how to sort through and find the information they need or want. This will put them in a good position for many aspects of learning. They gain experience in sifting through information and finding the relevant facts when needed. The action of browsing can apply to other areas of making choices and organising material too. This could include creating collections of cards to be sorted out. Browsing is a transferable life skill. Of course as parents, you should still feel free to make suggestions of reading to your child. Just don’t get too disappointed if instead they choose books that it wouldn’t occur to you to suggest! They might always come back to the book you would love them to read later. It is always a lovely moment when your child wants to read a book that you loved as a child too. I was over the moon when my son showed an interest in The Lion, the Witch and the Wardrobe! If you are looking for ideas for books to suggest, check out our summer reading guide here. take your child for regular eyesight tests. In the meantime, keep reading, and above all enjoying reading. Do you have any particular concerns about your child’s reading? Do you have any tips to support children’s reading? Share your ideas and experiences in the comments below. 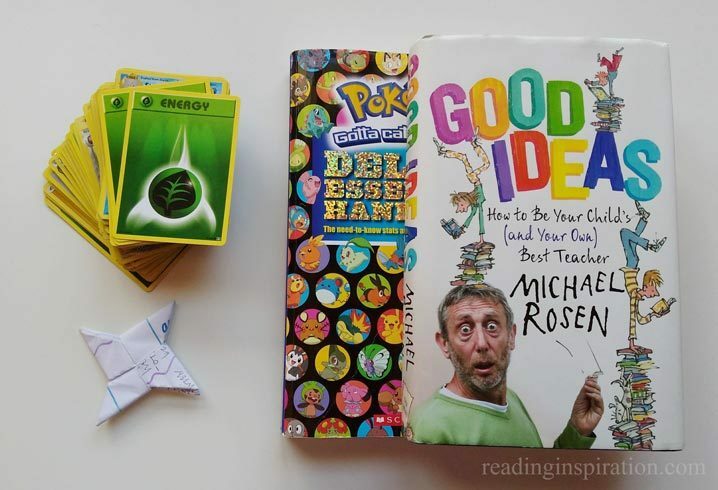 And if you’d like to get a copy of Michael Rosen’s Good Ideas: How to be your Child’s (and your own) Best Teacher it is available from many booksellers including Amazon via this link. My son has been reading and reading …all day … completing a book in 24 hours…. saying ‘can I have early bath so I can read in bed. I never believed he would enjoy reading… but it is finding the right books… and putting your own ideas aside. That is so great Anna, sometimes it’s not the books we would choose that work well. If he loves football he will love books about football! Fantastic, I hope it will get him reading more and more!